I’ve been comparatively muted online recently. Mostly this is because I am swamped by school – I have new classes and I have a student teacher for the first time ever. My student teacher is fantastic – I’m a huge fan – but I will admit that it takes SO much more work & time than I’d anticipated. As a result, I’ve had much less time available to interact and converse with my online community (#mtbos and #iteachmath). This means that more of my energy has gone into to the “real world” community of math teachers that surrounds me. I must say, this is a very different picture than the online community I’ve built for myself. I’ll get into that in a bit, but I want to make sure that I acknowledge a series of tweets I’m seeing this weekend. OK #mtbos, @sophgermain has challenged to ask and answer questions about the whiteness of this and associated spaces. I have many thoughts, not all of which will make for a coherent Twitter thread. But I'll say a few things that are related in my mind. Another good thread. Please click and read. For my part, I would like to comment on some things I’ve noticed as my lack of time has turned me into a bit of twitter lurker rather than conversationalist as of recently. My time on twitter talking with & reading from brilliant educators like Marian Dingle, Jose Vilson, Lybrya Kebreab, Val Brown and Shana White has made me more conscious of what’s happening in my day to day life. Because of those conversations and now that more of my time actively interacting with the math community is off line, I’m more aware of how I move in the world, the white spaces I inhabit, and how those contrast with the school community I’m a part of. While I am currently less active online, I put time in when I had more available and that’s helping to keep me aware of how race & privilege affect my work now. I’m so grateful for having spent that time, and know that when my load lightens a bit, I intend to be more engaged online again. Part of not being as involved online has been noticing just how less engaged the “real” communities I’m a part of are in “the Work”. Issues of inequity come up regularly, and they’re frequently brushed to the side. Or they’re seen, the comment, “yeah, this isn’t how it should be,” is made, and then they’re brushed to the side. I’ve been pondering why this is and I’ve come up with a couple reasons why this may be. The first is that teachers are so insanely overworked that we can’t find the time or energy to fight the really big fights unless a platform is created for us to do so. The second is that we have so much curriculum to get through that we have neither the time nor the resources to explore social justice through our lessons as often as we should unless something is pushing us to do so. I think I’ve been pushed to do more of this because of the school I’m in that is genuinely diverse. My students demand it of me. I wonder if the teachers who work in predominantly white schools don’t have that extra push, so they don’t end up addressing it. And that’s a genuine wonder. I don’t know enough or have enough contact with teachers outside my district to know if that’s the case. I’d love to hear from you if you have insight there. To the first reason of not having enough time, I’ll use an example from my own experience. Tracking in schools tends to be wildly inequitable. Students of mine regularly make note of who is in advanced classes (white students) and who is not (students of color). When my department is tasked with and given time to revamp the structure of classes at school, we can, and do, have conversations about tracking and how to reduce/address it. We make actionable plans. But it’s not that often that we’re asked to revamp classes, given time to make a plan of attack, and then we’re off to teaching again. Teaching hits and we’re all so swamped with grading and parent meetings and checking in on kids that bad habits creep back in that undo most of the good work intended to create change. We shift kids to less challenging classes, and the only ones that get truly challenged and moved up are the ones who have the support structures to demand it. Often times, those are the white students and families. I’ve made a conscious decision to work in a public school in Minneapolis. My reasons are/were 3-fold: 1) I love Minneapolis, and want to live here, so obviously, I’d like to work here, too. 2) I believe in public education, and I do not want to work for a private or charter school. 3) I totally started out choosing this with some white savior nonsense in my head. This 3rd one is a problem, but I need to still acknowledge it, because I’d like for it to now turn into “I need to address some white savior nonsense with my colleagues, as well as making sure that we’re continually acknowledging and addressing race as we do our jobs and live in this world. I struggle regularly with whether or not I should be a public teacher in Minneapolis. I see how few TOC (teacher of color) there are, I hear, directly and regularly from my students that they want more TOC and that it matters SO MUCH to them when they get a TOC. Does that mean I should step aside? Should I go work in a predominantly white school district? I don’t think so, but I’m not sure. Right now, I’m actively choosing to stay where I am because I, unfortunately, don’t see a huge flood of TOC being turned away, and as both Anne and Christopher noted, I want to make sure that I’m not isolating myself. I do know that I am so much better for working in a public school with many SOC (students of color), but, as a result, I have a responsibility to make sure that I’m acknowledging my place in this space and that I’m creating spaces in my classroom for students to talk about race, their community, and what’s affecting their lives right now. I’m trying really hard to make sure that my role here is not to fix anything (except for the lack of conversations around race in schools), but rather to give my students a space to talk, and push to make sure my colleagues are doing something similar. I have a student teacher right now, and you better believe that I talk to him explicitly and regularly about how I am trying to dig out my own biases and give kids spaces that work for them. For example, I notice and name if I’ve called out only students of color, and I’ve talked to my student teacher about when I saw that, how I saw it, and what I plan to do about it. When we talk seating charts, I’m constantly offering suggestions and asking questions about why we’re choosing to put certain students together or not. I explicitly address race when we do this. I have asked him to start doing the Mathematician’s Project. I am trying to model noticing things like who are in advanced classes right now, and which parents we’ve called or not, and how our grading system affects students with different backgrounds. 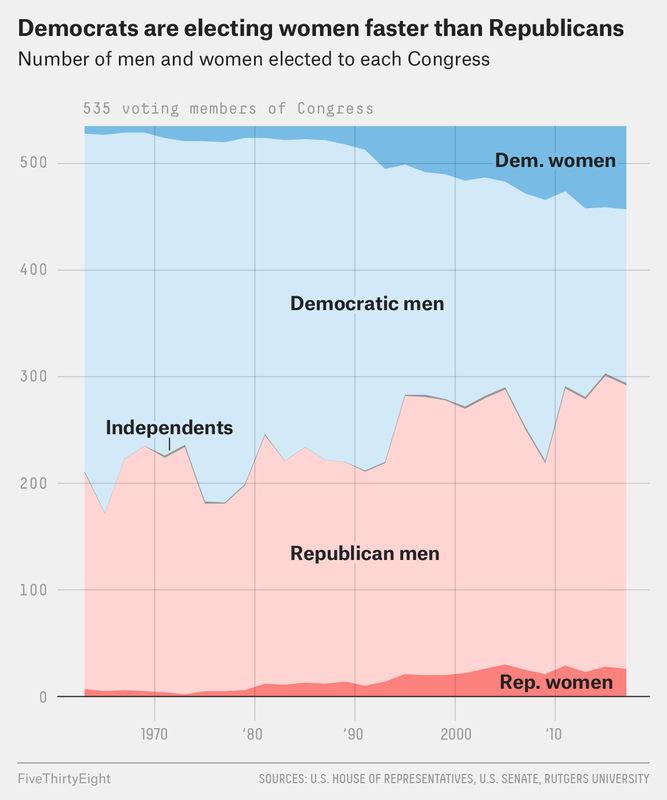 I’ve actively tried to name and notice more often when we have false binaries – for example I used this graph (from fivethirtyeight.com) and made note, with students that this assumes a gender binary, and then we talked about why that may or may not be appropriate in this graph. I talked to my student teacher about that decision. I do this because of the online community that has pushed me to do better for students of color. I also do it because once students have a taste of it, they demand it of me. A typical "optimization" problem in grade 11 could tell us to raise prices and leave seats empty. and thought what a great opportunity it would be to incorporate that! But time ran out, I couldn’t create a problem fast enough, couldn’t find one in the curriculum I have, and thus I ended up skipping it on Friday. Just taught straight up optimization. (Don’t worry, I plan to do it on tomorrow.) It’s hard to get this stuff in. And it takes a lot of work. And we’re already all so gosh darn tired and overworked already. But those are excuses, and we can do a lot better, we just need to drink more coffee? I don’t know. I’m going to close this out, not with something profound, but just because I need to post it and get to planning lessons for tomorrow. I’d really appreciate any thoughts any of you reading have on it. It seems like an intractable problem, but I also firmly believe it’s one that we have to address as a community. If we don’t, we’re failing a lot of our students. Annie – I always love to read your posts; you are genuine and thoughtful, and in doing so, push me (and I’m sure others) to confront myself as well. I find myself in a similar space this year; my teaching load is one period lighter, but that is because I am coaching 2 struggling teachers and mentoring 2 new teachers – add in a new prep (AP Comp Sci Principles) and some healthcare, and my free time is gone. I can barely keep up with the conversation on Twitter, but it’s highly active status keeps me thinking and searching for ways to do the work in my professional and personal spaces, like you. It’s amazing that you are actually given the opportunity to revamp classes, and while I know everyone gets super busy, perhaps the next time it happens you can make a commitment as a group not to drop the effort; I don’t think it’s that often that schools ask or allow their teachers to actually reprogram classes – mine sure doesn’t. I don’t know how to respond about the demographics of where you teach, but if you did choose to teach in a predominantly white school, what better educator in examining privilege would your students have? I would venture to say that many other (most?) white teachers wouldn’t give waking up their students a second thought. The last thing I want to point out, which I have felt as well, is that coaching a new teacher, or teacher-to-be, is an opportunity to extend the work exponentially – because every student that your mentee teaches will derive some of the benefit of your work and world view. In this way, training your student teacher might be one of the broadest ways in which your work can have a wider impact. Thanks for writing – good to hear your voice. First thank you for taking the time to put you thought down. Engaging and giving us a “platform” totally resonate with me. If the platform is there, I will move forward, otherwise I. Just. Don’t. Have. The. Bandwidth. I want to talk about it, especially with my colleagues. They don’t have the bandwidth either. Struggling with new administration and no raise for 6 years, bleeding talent for brighter paychecks, we are just so deflated. Not to mention battling Sorin an Juul. How these f’ing CEO’s sleep at night is beyond me. I am feeling a little more connected already, AND while I am not a TOC (nor are any of my colleagues in a 40% Latino school—nor do any of our 4 white admin. Speak Spanish) I am a Jew. And I too, am in a lot of pain. Pain, that may me unfair of me to show, as I have a lovely home, I have enough food, I have, I have, I have. When I imagine the experience is SOC, I can see why the last thing some of them are drawn to is Math Education. If they have had an uplifting experience, they are trying to escape poverty or trying to get ahead, teaching may not be very attractive, and if they have had a crappy experience, we’ll, there you go. Truly sending you love and appreciation. Thank you for this invitation.